Broadcast media is mandatory for the news to be delivered to people all over the world. The prime purpose of television broadcasts is to expand the depth of the stories captured and present them to all walks of life. It is important for someone living in Greenland and Alaska to have the same knowledge for what is happening in the world. My major is advertising with a minor in public relations, thus I wish to have a voice in providing people with the latest news, whether that be through advertising, public relations, or broadcasting. 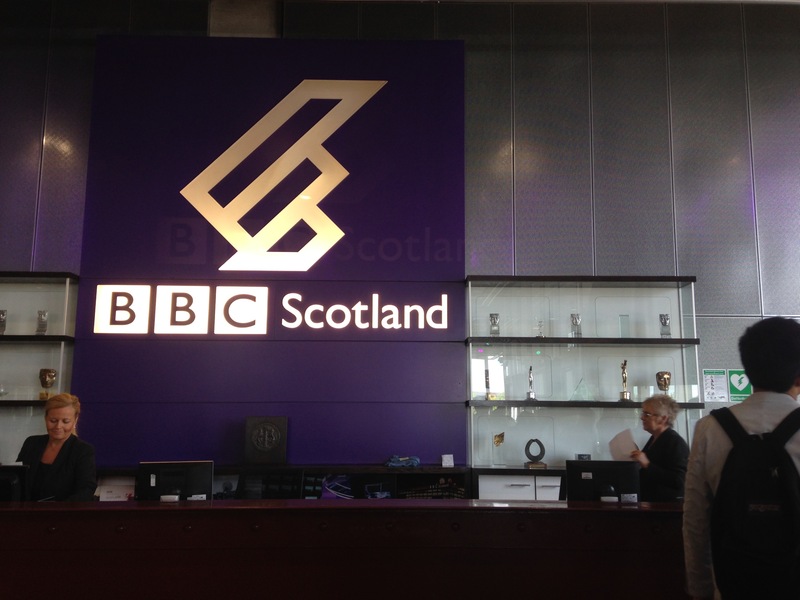 In Scotland, our group was given the chance to visit BBC Scotland and have a more in-depth look into the everyday work life of those who work there. Learning of the history of the building was captivating. A fun fact was that the sandstone used to build the interior parts of the building are only found in one place: underneath the Statue of Liberty. 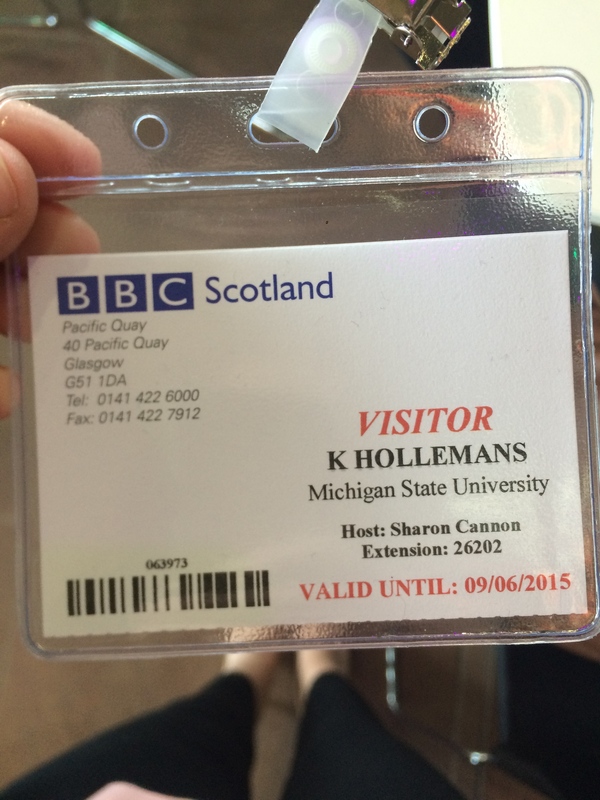 A symbolic figure to America has an important role in the BBC Scotland as well. 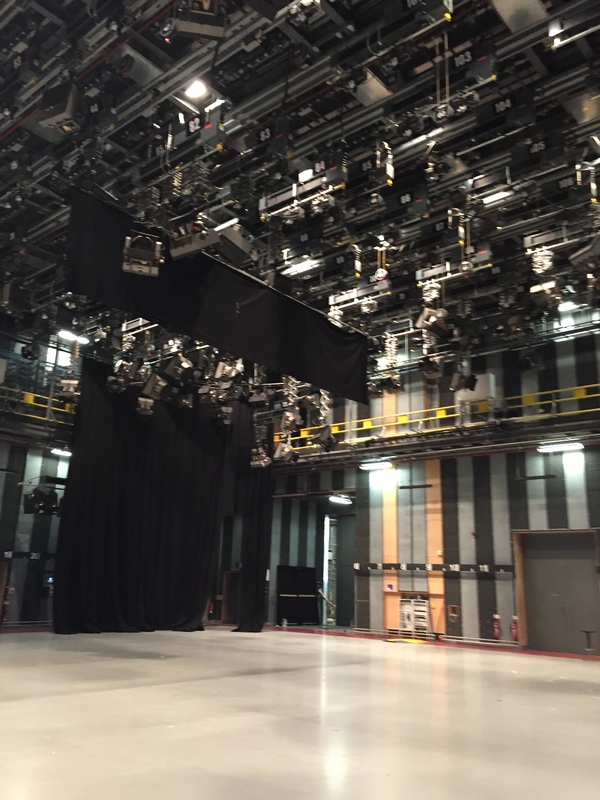 Another interesting aspect to the building was that it is the only building in the world that it can fully be turned into a broadcasting studio. The walls are designed to muffle sound and create a space that doesn’t echo. In addition, the ceiling panels are able to shut to block out sunlight to allow the lights, which are also connected from the ceiling, to act as they would in a normal studio. Small facts like this are essential in the overall infrastructure of this broadcasting hub in the United Kingdom. 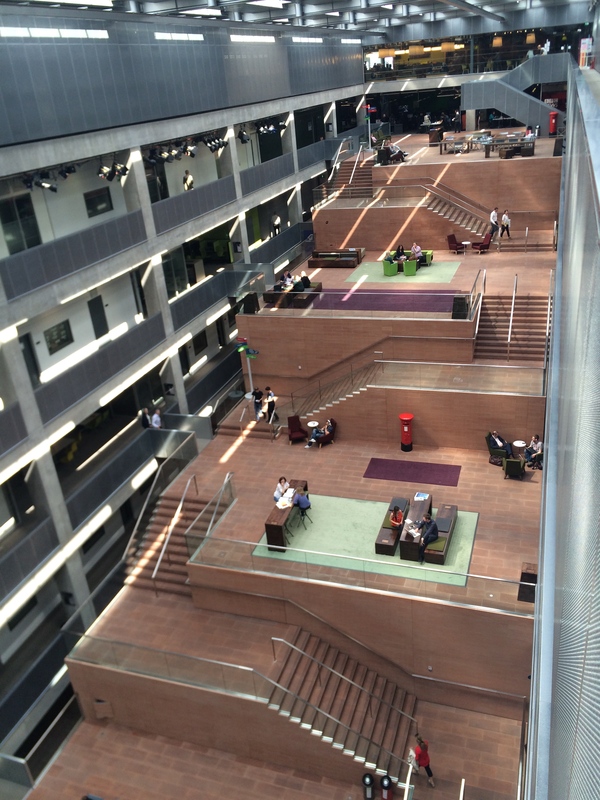 BBC Scotland aims to target every part of the country with its news. Similarly to the United States, both of these countries have a vast array of news stories that strives to bring the news to every country, from urban to rural and everything in between. Ian Small, Head of Public Policy and Corporate Affairs, was our tour guide for the duration of our visit. Small works in the crisis management and public relations department, which is what I am thinking of going into one day. He was very knowledgeable of BBC Scotland as a whole and was extremely passionate about his job. Throughout studying abroad thus far I have learned one must have passion in this industry. Without passion you won’t succeed to the next level. I’m not sure where I will start out in my career, but I do know that I will say “yes” to every opportunity that comes my way. Small also talked about the crisis management situations he finds himself in everyday. With every news story that goes out, especially news about the government and other influential people in society, lawyers get involved and try to appeal stories before they are broadcasted. However, it is the duty of the BBC Scotland to bring raw information to the people of the United Kingdom. This can’t be achieved if the subjects involved in the news story try to fight it in order for it to not be leaked to the public. The purpose of the broadcasting industry is to bring out the truth. In Scotland, Parliament fights the news a lot, due to the influential status it has on society. Comparing the United States to the United Kingdom in similar situations, democratic and republican parties may fight the news as well in order to maintain positive public appearance. An interest thing I have been told multiple times by broadcasting companies in the United Kingdom, such as ITV studios and BBC Scotland, is that there is no need for American broadcasters in this country. The public doesn’t like to receive news from someone who doesn’t have a British accent. To them it’s not authentic. This makes it hard for an American to get a job in broadcasting in a different country. I personally would like to work in the United Kingdom one day, but that would mean working strictly behind the scenes of broadcast production. It was interesting to me to learn of this cultural rule that has been set by the viewers of the news. Back in the United States, I don’t think I would be opposed to having a broadcaster with an accent reading me the news. I keep forgetting I am in a different country, but things such as this help me become more culturally aware. For every broadcasting studio we have visited everyone is so engaged in their job and wish to give back to the younger community, who will be entering into the broadcasting world one day. Many different internship opportunities are in place to give those starting their careers to learn more about the industry and gain insight to help with future jobs. 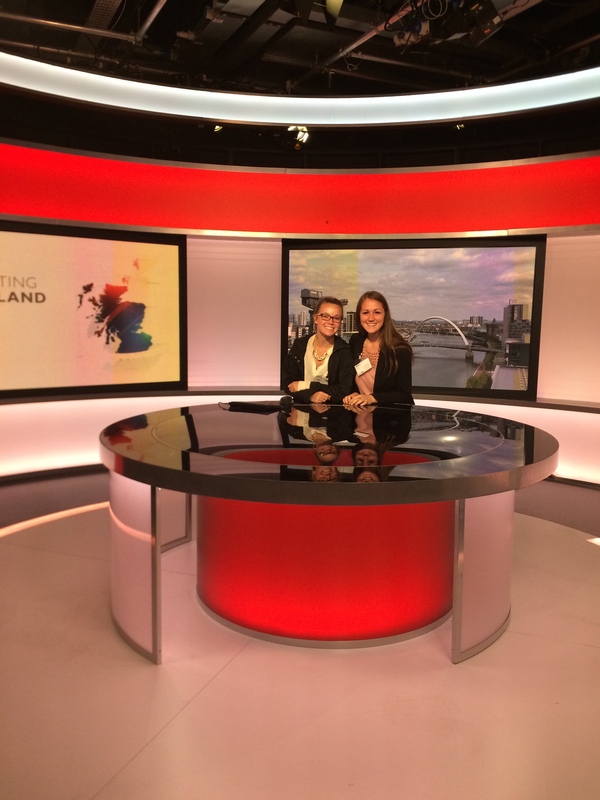 The United Kingdom gives back to the community in many ways, with internship opportunities being an essential part of the future of media. Back in the United States, before graduating college it is crucial to gain internship experience in order to get a job out of college. More companies are looking for graduates who have experience working hands on in the field, rather than only a degree to show your knowledge. Hopefully this study abroad will show future employers the different cultures I have learned about and all the media outlets I have seen within a foreign country. Media in the United Kingdom is similar and different than media in America. I feel the more I learn from different countries, the more I can bring back to the industry in the states. 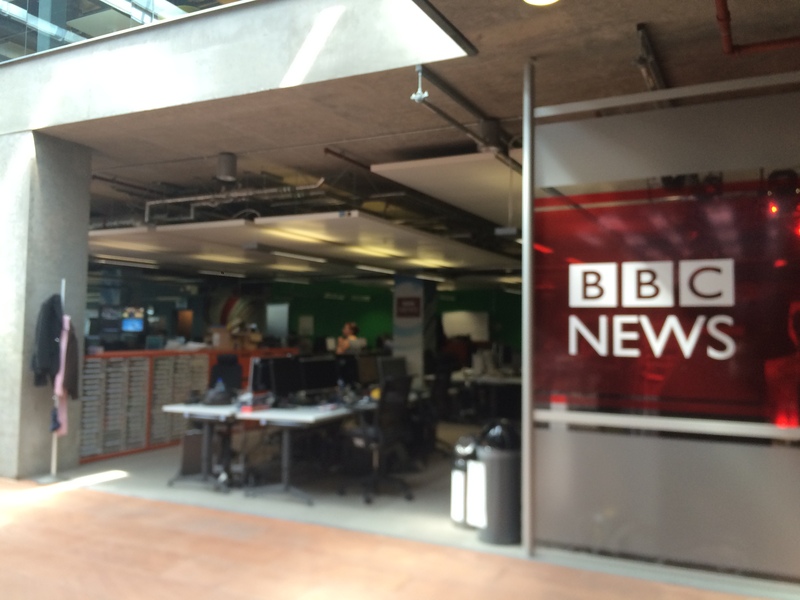 BBC Scotland is an important news hub for the United Kingdom. Being able to get a full tour of all the floors, studios and production rooms was something many people are not given the chance to do, thus I will not take any of these experiences for granted. There have been countless opportunities given on this trip and I will take back all my knowledge and apply it to my future internships and career. Media in the form of broadcasting is an important aspect in everyday life. The morning news, the afternoon news, and the late night news are presented everyday to the public. Without the reporters, production staff, journalists, public relation specialists, crisis management expertise, and countless others that work hard everyday to bring the latest breaking news there would be no broadcasts. Media is important all over the world, and moving forward there are innovative students who are thriving to make a change to the industry. Thank you to BBC Scotland and Ian Smalls for presenting us with a glimpse into a successful broadcast company. I keep taking everything to heart and learning the most I can to be successful in this industry one day.